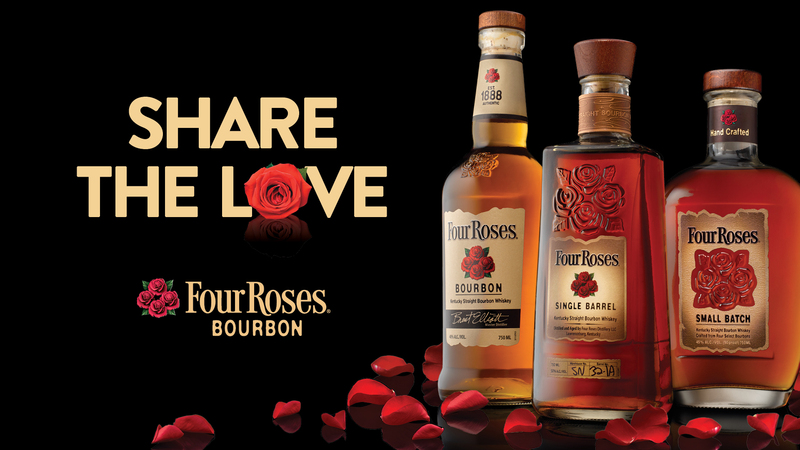 Share the Love and celebrate Valentine’s Day with Four Roses. Visit the Distillery or Warehouse & Bottling Facility Visitor Centers for the chance to win a Four Roses “Share The Love” gift basket for your special someone. Four Roses guests will also have the opportunity to take a tour of the facilities, enjoy a 50% discount on engraving services and take a commemorative photo at the #ShareTheLove photo station throughout the duration of the promotion. From February 14 to February 17, guests will receive a vintage 1935 Four Roses advertisement with any $20 purchase. The Share the Love gift basket includes an engraved Four Roses decanter, two rocks glasses, one dozen roses, Four Roses silk scarf and rose cluster bowtie, red rose earrings and stave cufflinks, and Cellar Door Bourbon Chocolates. Contest Rules: Must enter contest at Four Roses Visitor Center. One entry per guest, per visit, per location. Must be 21 years of age to enter. Must provide valid contact information including name, email address and phone number to enter. Must provide physical address for shipping (no P.O. boxes). Must agree to receive contact from Four Roses and its affiliates. One winner per Visitor Center location will be chosen on February 18.